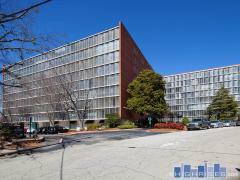 1463 La France is a community of modern townhomes located in Atlanta's Edgewood neighborhood. The 15 residences feature expansive floor plans, high efficiency appliances, dramatic interior finishes, garage parking, and many homes convey private yards. Have any comments or questions about 1463 La France? Ask your question and/or share your thoughts about this Building.